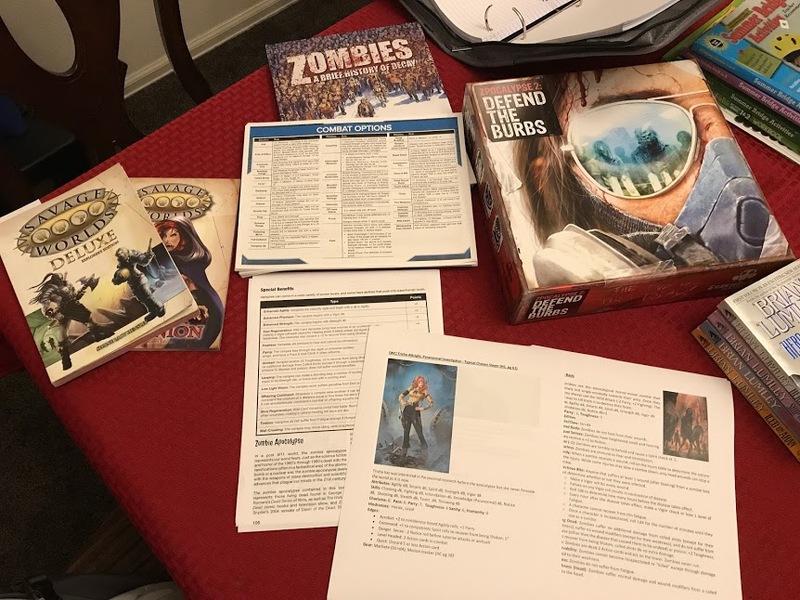 Feeling particularly inspired by the posse from the Wild Die Podcast and their recent episode on Zombie-themed games, I decided to put together an on-the-go zombie game to take camping this weekend so I could introduce a few new people to Savage Worlds. I also stopped by my two favorite gaming stores to find some materials. My first stop was by Gamer’s Haven where I found a board game to totally savage. 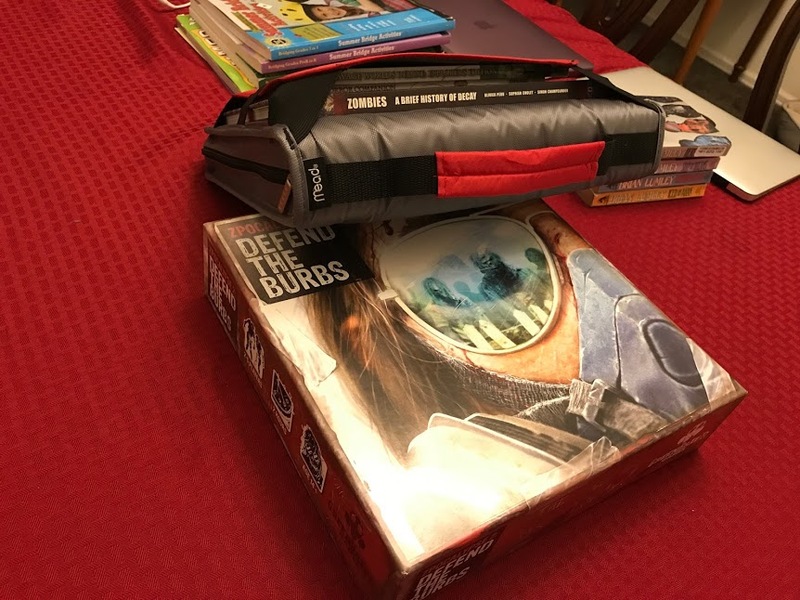 It has some great tiles, wild dice, and minis to use on the fly. 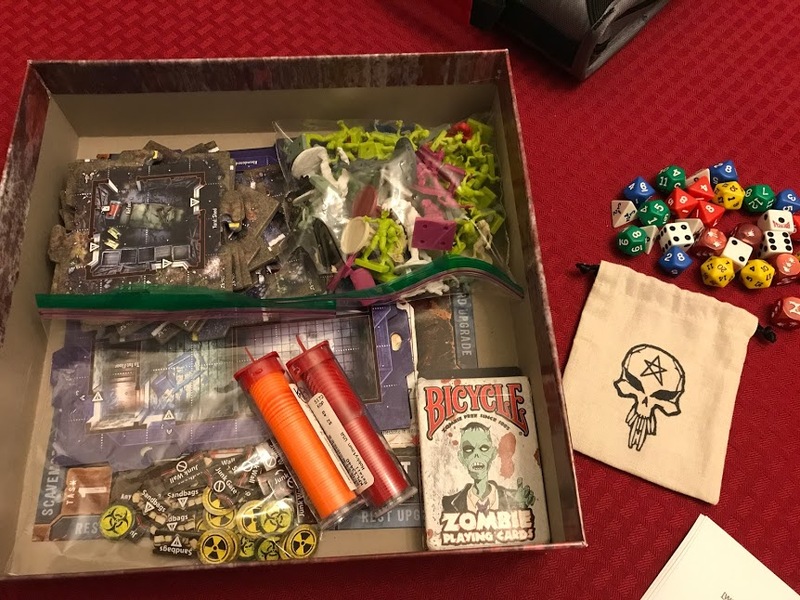 I threw in my zombie-themed deck of cards and dice. The dice bag and tiny Bennies came from Hobby Town. I also liked that Zpocalypse included Wild Card zombies to use as well. I created their stats and can share those later. 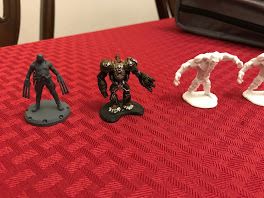 And, I threw in some extra miniatures just in case I want to add more baddies to the mix. The last thing I wanted to do was make everything compact. 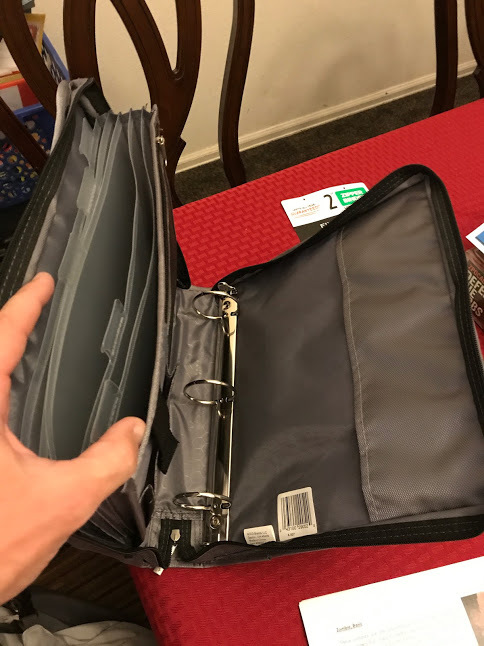 I went to Staples and found a nice binder with pockets. 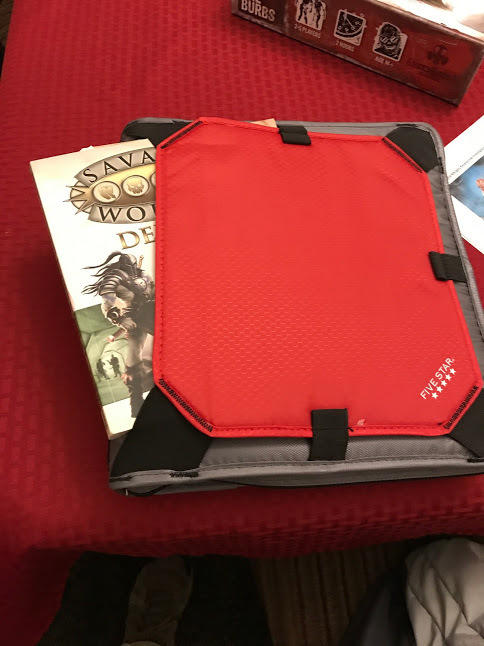 It also has a nice front pocket just right for my Savage Worlds Deluxe Explorer’s Edition and The Horror Companion. 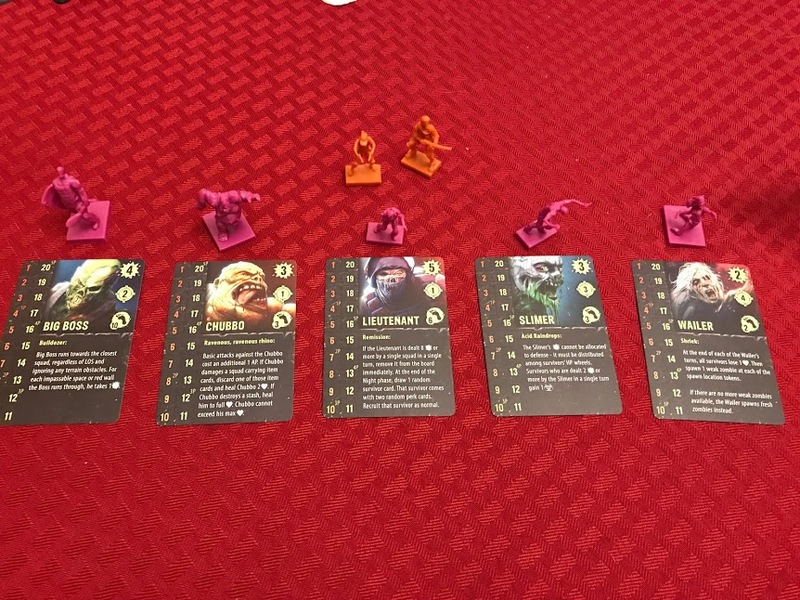 I also threw in the graphic novel Zombies: A Brief History of Decay (Insight Comics) because I like for players to have some visuals for inspiration. 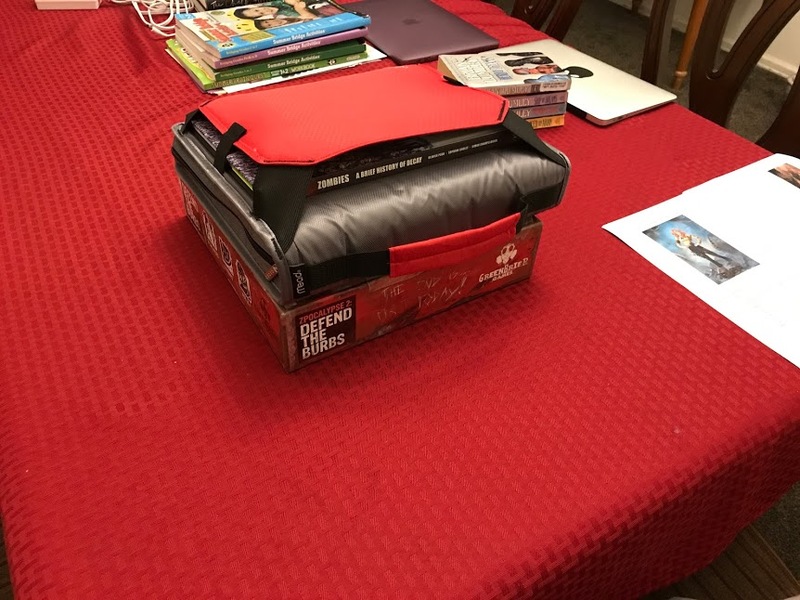 The final on-the-go game is very light and easy to pack for camping!